While people tend to stay active on Saturdays, Sundays are for taking it easy. 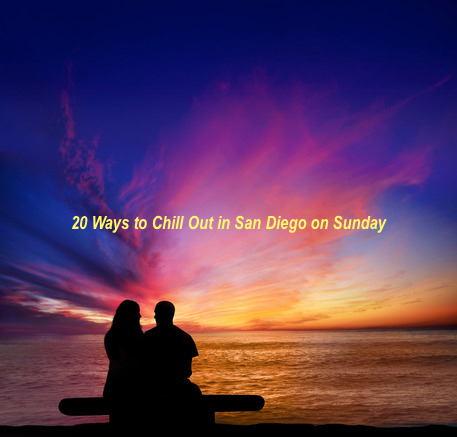 However, instead of doing the same old thing, maybe this Sunday you can find a new way to chill out in San Diego. There are few cities that have as much to offer in terms of rest and relaxation. If you are not sure where to start, consider this idea list to really relax this Sunday. 1. Brunch. Brunch is a popular Sunday pastime throughout the country. The idea with brunch is to let people sleep in and still enjoy breakfast. Fortunately, there are many restaurants in the city that offer brunch. These options include all types of restaurants, making it possible to eat American, Mexican, Italian, Chinese, Japanese and more. These options are available for a solo trip or groups, although reservations may be encouraged for some venues. 2. Farmer’s market. Have fun and be healthy by visiting a farmer’s market. These markets are located all throughout the city, making it easy to find one nearby. A farmer’s market showcases food and other products from local farmers, giving people the chance to get fresh food at affordable prices. It is a great way to get some shopping done, but many people just enjoy the idea of strolling easily throughout the market to relax. Therefore, bring a bag and some cash, and check out a farmer’s market this Sunday. 3. Spas. Everyone knows that a spa is a great place to chill, but most people probably do not realize how many services they truly provide. Schedule a massage or make an appointment for a couple’s treatment. There may be salon services, manicures, pedicures, steam rooms and more to consider. Whatever the preference may be, there are plenty of spas in San Diego. Prices will vary depending on the facility and the desired services. Most spas encourage appointments, but some may have walk-in availability. 4. Seaport Village. While there are many places in San Diego to chill out, few offer the wealth of opportunities of Seaport Village. 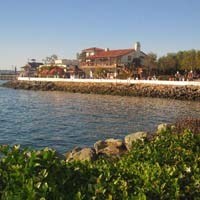 Located near the downtown, Seaport Village is bustling with activity. Shopping options reflect a wide range of interests including clothing, shoes, crafts, souvenirs and more. Plus, the selection of delectable restaurants makes it easy to always try something new. Better still, there are many events throughout the year, which can turn a pleasant Sunday into an unforgettable experience. Whether to eat, shop or just chill out, try Seaport Village soon. 5. Coronado Island. While everyone knows about the things to do in the city, there is no better time than a Sunday to go off shore to Coronado Island. This small, scenic island is a short 10 minute ferry ride from the coast, making it easy to visit. While on Coronado Island, take some time to visit the Coronado Hotel, which is a famous structure that has a long and storied history. Guests can also plan a trip to Lamb’s Theatre or the Silver Strand Beach. Other ways to chill include biking, golfing, lawn bowling, a walking tour and more. 6. Torrey Pines. While there are spectacular man-made attractions in San Diego, sometimes the best way to unwind is to enjoy nature. Fortunately, San Diego has some of the best preserved natural lands in all of Southern California at Torrey Pines. This State Natural Reserve is positioned within the city limits, featuring 200 acres of pristine wildlife. Torrey Pines has beaches, a lagoon, a chaparral plant community and the spectacular Torrey pine trees for which the area is named. On weekends, there are guided walks available. Guests can also explore over eight miles of trails. 7. 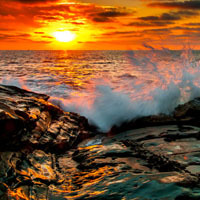 La Jolla. Located not far from the city is La Jolla, a nearby township that has some of the most scenic stretches of beach in Southern California. Spending time by the water is always a wonderful idea, no matter what time of year it may be. However, La Jolla is a perfect Sunday day trip because it has far more to offer. Away from the beach, the city is full of energy with upscale shopping and unique dining experiences. Conveniently, parking is plentiful, so feel free to stop by your next free Sunday. 8. Sports. With a mild climate throughout the year, Southern California is great for people who love to stay active. While most people have their favorites, there is never a bad time to try something new. Thankfully, there are ample opportunities in San Diego. Surfing is the quintessential California pastime, and there are many hotspots up and down the beach. For a bit more excitement, kite surfing is growing in popularity. Otherwise, it is always easy to start a game of beach volleyball on the sand. Many beaches provide equipment rental, and for the more involved sports, there may even be classes available. So get off the couch this Sunday and challenge yourself with something sporting. 9. Fishing. With such proximity to the ocean, it is no wonder that water activities are popular. 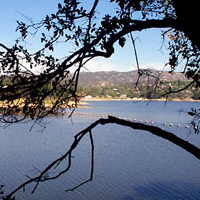 However, go a little farther inland to discover Dixon Lake, which is perfect for fishing. This scenic lake is only a few miles from the city, and it is home to a number of largemouth bass. In fact, the fish are so plentiful in Dixon Lake that many of the world’s largest bass have been caught there. Whether you are a fishing expert or a novice just looking for a good time, getting out on the water can be a great way to spend your Sunday. 10. High tea. Southern California is a long way from Great Britain, but that does not mean that British culture has to be entirely neglected. Take a Sunday afternoon to get a taste of old world refinement at the Westgate Afternoon Tea. High tea is not merely about the tea. It is also about the atmosphere. The Westgate Afternoon Tea provides an entirely distinctive experience with beautiful harp music. In addition to the tea, there is a fantastic selection of tea sandwiches and pastries to sample. 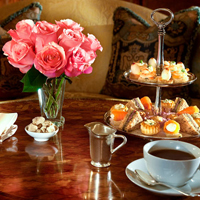 Private teas are available upon request, and reservations are always recommended. 11. Mission Bay. 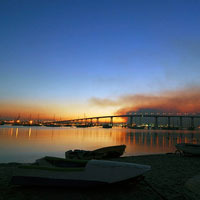 Positioned a short distance from the downtown, Mission Bay is a vast area along the coast. There, it is possible to try water sports, picnicking and more. Mission Bay is also the starting point for a number of fishing and whale watching trips. It has several fantastic beaches to consider with Mission Beach and Ocean Beach. Each has its own unique vibe, and either of them would be ideal for a Sunday out and about. If all that is not enough, Mission Bay is also the location of SeaWorld, which gives visitors the chance to learn more about marine life. 12. Del Mar Fairgrounds. Located not far from San Diego, the Del Mar Fairgrounds give visitors a whole new world of opportunities. The fairgrounds have 180,000 square feet, including halls, outdoor venues and a grandstand. This variety makes the fairgrounds a perfect gathering place, which is why so many events are booked there throughout the year. Any given Sunday, it is safe to assume there is something going on. Some events are seasonally based, such as Christmas tree displays or a haunted house. Other events, such as bingo or concerts, may be featured all throughout the year. 13. Tijuana. 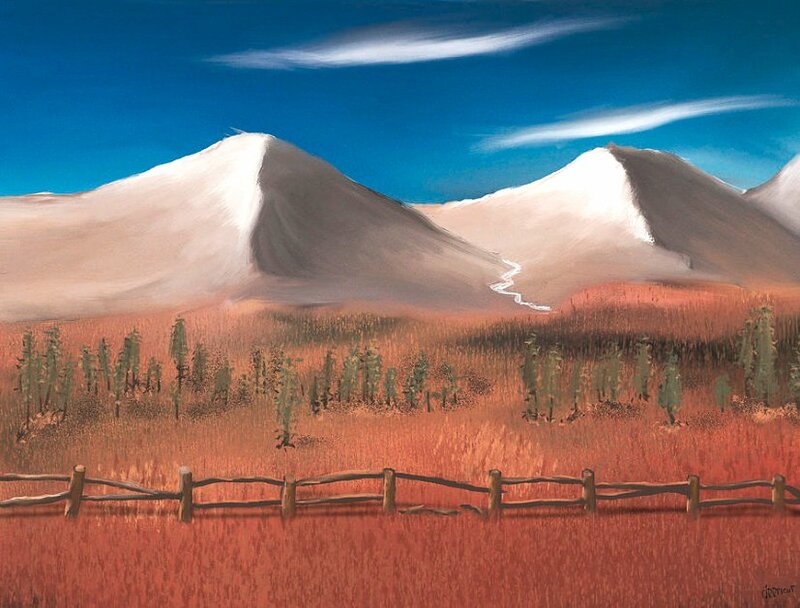 For those looking for adventure, maybe it is time for a road trip. Although there is plenty to do in San Diego, taking a Sunday to hit the road is certainly worthwhile. One of the best options is Tijuana, which is a Mexican city just south of the border. Tijuana is booming with tourism, offering a wide range of affordable shopping and eating pleasures. Some guests may also enjoy a greyhound race at the Agua Caliente Race Track. 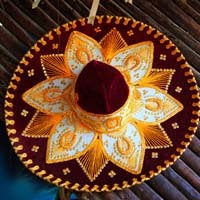 There is also a cultural center to relax in and learn about Mexican heritage. 14. Borrego Springs. Another destination off the beaten path is Borrego Springs. Borrego Springs is located in Anza-Borrego Desert State Park. 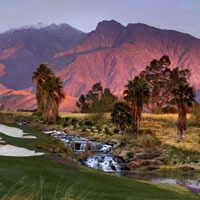 This makes the landscape nothing short of stunning, and Borrego Springs is the only desert community in the area. Because of this, Borrego Springs retains a smaller, old fashioned feel. There are no chain stores in the area, and local businesses flourish. This rustic destination can help anyone relax on a Sunday. While there, be sure to visit La Casa del Zorro for some of the best American food in all of Southern California. 15. Nightlife. There are many venue choices for some after hour fun, but the best is FLOAT. FLOAT is the rooftop bar at the Hard Rock Hotel. This rooftop oasis looks out over the Gaslamp Quarter, which provides an instant ambiance. FLOAT is well outfitted to create the best after hours experience. There are private cabanas, a pool and fire pits. At night, there are DJs, drinks and dancing. Various events take place throughout the year, but it is easy to head to FLOAT any given Sunday for a night you will not soon forget. 16. Pacific Beach. There are a number of beaches to relax on, but none of them have the distinctive appeal of Pacific Beach. Nestled between the ocean and Mission Bay, Pacific Beach is everything people think Southern California should be. In fact, Pacific Beach is widely regarded as one of the most active beaches in the area, and it is known for its party-like atmosphere. There are excellent shopping venues, and there are also plenty of choices for food. The boardwalk is always very popular, and there are recreational opportunities at Crown Point. Ultimately, there is no better idea than Pacific Beach for a pleasant Sunday out and about. 17. The Baked Bear. If you get the idea to snack on a Sunday afternoon, be sure to head over to the Baked Bear. Located in Pacific Beach, the Baked Bear is one of the newer eateries in the area. 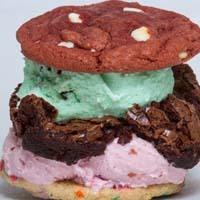 Unlike other dessert places, the Baked Bear has a distinctive menu of ice cream sandwiches. These are not the expected, pre-packaged ice cream sandwiches. Instead, the Baked Bear makes its own, using delectable cookies and smooth ice cream. Patrons can pick and choose to create an ice cream sandwich especially for their tastes. Ice cream and cookies can also be ordered separately if desired. 18. The Secret Sea Cave. Cabrillo National Monument is an attraction in its own right since it pays homage to the area’s history. However, this piece of history has more to offer for those who are willing to risk a little adventure on their next lazy Sunday. When moving around the monument to the west, visitors have the chance to discover an idyllic sea cave. This pristine example of Southern California’s coastal glory is not for the faint of heart since it requires a walk along the cliffs. There is a narrow passageway that opens into the cave, which is only accessible at low tide. 19. Broken Hill. As mentioned previously on this list, Torrey Pines State Reserve is a great Sunday destination. However, most people who visit Torrey Pines fail to take advantage of one of its most spectacular sites. Broken Hill may not look like much, but the view from the top is worth checking out. 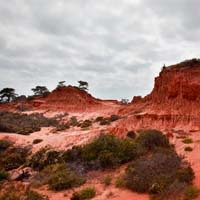 From atop Broken Hill, it is possible to see the full scope of the sand cliffs and a great selection of rare pine trees. Broken Hill is especially attractive at the end of the day, and it is worth planning your trip to see the sunset there. 20. Staycation. Sometimes the best way to chill out is to stay close to home. There is no need to plan a big trip to relax this coming Sunday. Instead, book a room at the Mission Valley Resort for the perfect staycation. You can get away without going anywhere at all. 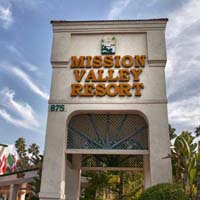 The Mission Valley Resort is conveniently located near many attractions and offers a number of comforts at an affordable price. Plan your staycation today!